Beech Bonanza models 33, 35 & 36; Baron & Travel Air models 95, 55, 56 & 58. 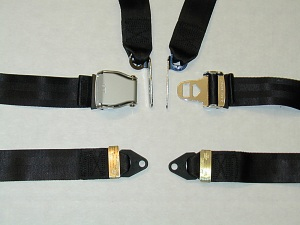 The BAS Inertia Reel 4 Point Shoulder Harness/Lap Belt System is designed as a retrofit assembly to replace current aircraft seatbelts. 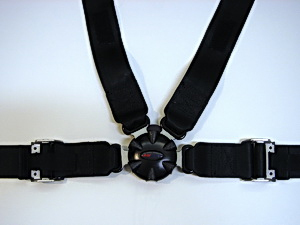 This is the latest state-of-the-art TSO'd harness system manufactured especially for B.A.S., Inc. by AM-SAFE Inc. The kit comes complete with all mounting hardware and installation instructions for both front seats. 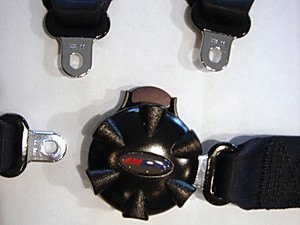 Belts may be ordered in colors and samples are available upon request. These aircraft should have an OEM installed inertia reel mounting bracket. 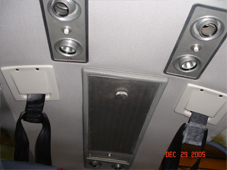 To determine if your aircraft has this bracket, look on the top of the fuselage about 11" aft of the door post and about 8½" outboard of centerline. 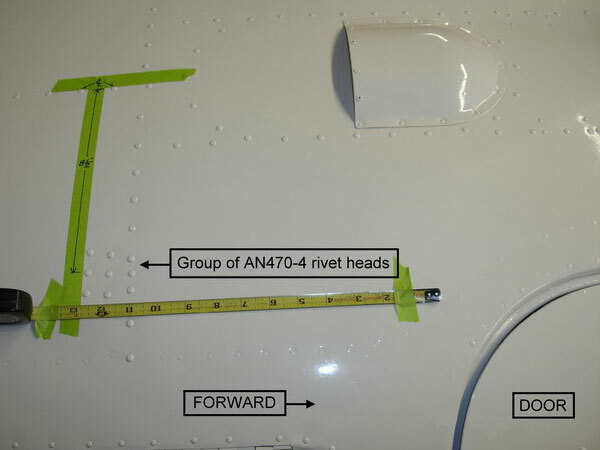 There will be a group of 9 each AN470-4 raised head rivets, 3 rows of 3 rivets 1" apart fore and aft. Refer to photos below. If OEM installed inertia reel mounting bracket is not installed, call BAS Inc to discuss your options (this includes for 1978 and later model Beechcraft). We have a TSO'd 4 point inertia reel shoulder harness/lap belt assembly that will attach to this OEM bracket. 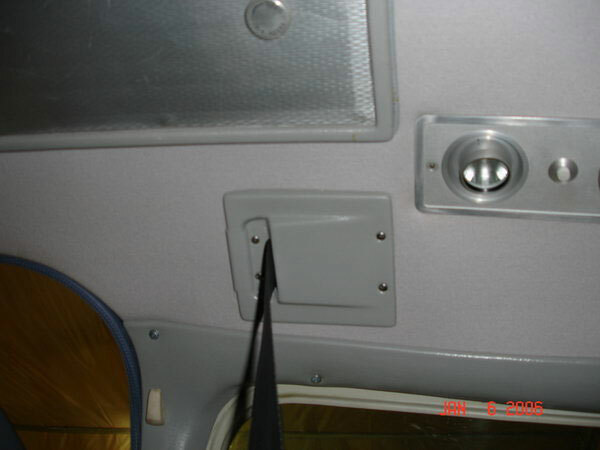 We also provide a dress cover and mounting hardware. Shoulder straps are non-restrictive but provide maximum protection. Very comfortable to wear and easy to adjust. 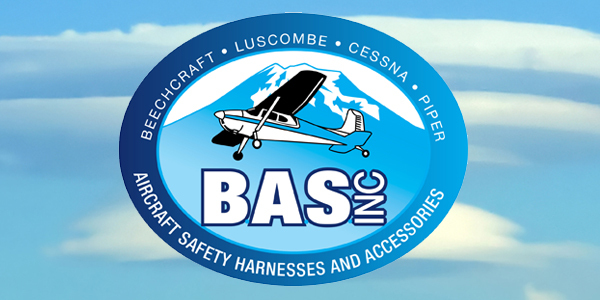 Each kit comes complete with all mounting hardware, installation instructions, and STC for both Pilot and Co Pilot shoulder harness seatbelt systems. 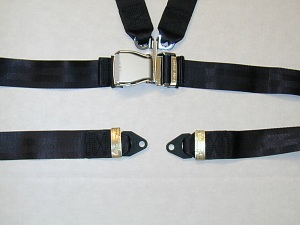 Note:Rotary buckles are in stock in #8044 Oatmeal, and #8064 Metro Grey only.